Today is the day of liking things I wish I hated. This morning, I wrote about how I love Slide, in spite of my extreme distain for Calvin Harris. When Emily sent over a video of The Voice coaches singing Waterfalls, one of my all-time favourite songs and TLC’s signature track, I was skeptical. 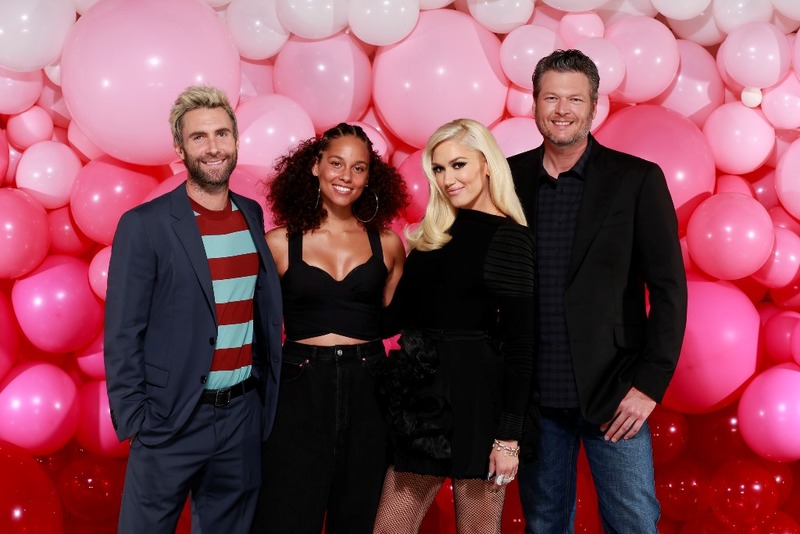 The Voice coaches singing Waterfalls means that, yes, Blake Shelton and Adam Levine are singing verses made famous by Chilli and T-Boz. It should be absurd. It should be so bad that we're all making fun of it. Instead, I'm on an email chain with Lainey and Duana and they both want to add this to their Oscar night playlist when they’re looking at another 8,000 words to go. By the end of the clip, I was singing along and smiling. What is happening? Here’s why I think I like it so much: these four have chemistry. We all know how much chemistry Blake and Gwen have IRL but in this video, it truly seems like all four artists genuinely like each other and are having a good time. It’s a heavily produced, multi-cam shoot and yet, it kinda feels like they’re all just chillin’ in a basement getting high and doing some karaoke. My biggest fear before clicking play on this was that Adam Levine would try to do Left Eye’s iconic rap verse. I drew a line under my left eye every day for a full week in mourning after Left Eye died. I only stopped because I got sent to the VP’s office. My point is that TLC means a lot to me. Left Eye’s verse is sacred. I actually exhaled when Alicia came in with, “I seen a rainbow yesterday…” She nails it. I could have done without Gwen interrupting halfway through to finish the verse but it’s actually pretty sweet when they both finish with “the rest is up to me and you,” in unison while pointing to each other. If nothing else, this video got me excited for the next season of The Voice, which starts on Monday. I’ve watched every season. This is where Sarah will make fun of me for singlehandedly keeping every show on television. The Voice is entertaining AF and that is due in large part to the celebrity coaches. We haven’t seen these four together on the same panel yet. Last season, I loved the dynamic between Miley Cyrus and Alicia. This season, all eyes will probably be on Blake and Gwen but I’m more interested in the rapport that develops between Gwen and Alicia. And I probably won’t hate it if these four get together again before the season is over to cover another classic. Let’s just hope they leave the rapping to Alicia.